When you combine a systematic, automated, investment software platform with a full service delivery model you have a Robo Advisor. 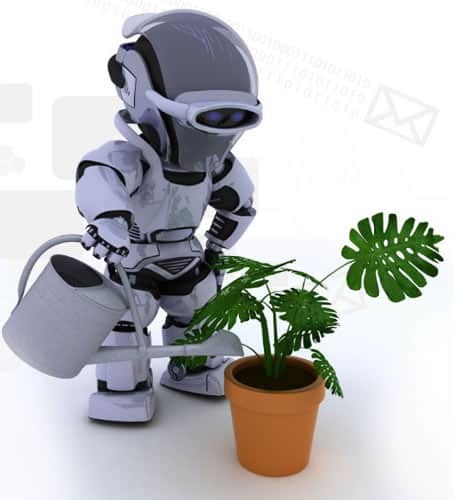 Advisors selecting our Robo Advisor can white label and embed it directly into their own website. This provides them with their very own Robo Advisor that includes market leading capabilities. Gravity DOES NOT accept retail investment.We ONLY work with advisors and institutions, and believe financial advisors are an essential element of any investor’s solution.A robot cannot talk a jumpy investor off the ledge when emotions are running high and investors are likely to succumb to injurious behavioral tendencies. We stand behind our advisors, not in front of them. Our optimization logic has an uncanny ability to produce superior performance. We can do this for any strategy and help maintain that strategy automatically. We support custom strategies including, Diversification Weighted® Enhanced Indexes, Core Satellite strategies, asset allocation models, and a full cadre of thematic portfolios. An advisor selects what themes they are interested in, selects a risk profile, and our Robo builds the custom portfolio automatically. The investor receives a perfectly fit custom solution and the advisor actually increases their firm’s scalability and nicely protects a sustainable fee margin. While others may claim to offer sophisticated strategies, when you pull back the curtain with Gravity you will find compelling circuity, intellectual integrity, and depth.